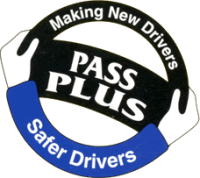 I would like to thank mark Easter for all the help he has gave me to pass my test I would recommend mark to anyone who wants a reliable easy going driving instructor just would like to thank mark for everything. I would like to thank Mark Easter for teaching me to drive. I passed my test on my second attempt. Mark is a top bloke who is pleasant, friendly guy who always encouraged me, nothing was to much trouble for him and would repeat manoeuvres until I felt comfortable with them. He is very approachable and easy to talk to. He is very reliable and I would recommend him to anyone wanting to learn to drive and when my daughter starts her lessons I will be contacting Mark straight away. I'd just like to start by thanking Mark for the excellent tuition that he gave to me. I started driving at the start of February having 1 lesson a week ever since. As of the week, I was able to pass my test first time with only 1 minor. Mark is a genuine teacher who does not come across as intimidating this means that if you do not feel comfortable doing something, you can always ask him to try things again which I felt was invaluable when it came to manoeuvres. He is a friendly instructor and it was my pleasure to be taught by him. I approached Mark as a young, inexperienced driver and his support and encouragement has led me to become both capable and confident behind the wheel. 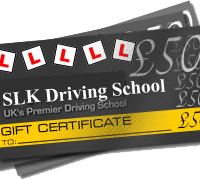 He is a patient, friendly and above all reliable instructor and it has been a pleasure to be taught by him. I passed the Approved Driving Instructor Part 2 test this morning on my first attempt, all thanks to Mark! He’s an amazing instructor, he was always patient with me during silly mistakes. My examiner told me I drove to a very high standard which would not have been achieved so quickly & so thoroughly had I not gone with Mark for training. Thank you for making lessons enjoyable and informative. I hope to be half the instructor you are. Mark is a great instructor. I'd driven before when I came to Mark and we had 12 hours of driving lessons then I passed my test first time!! Would highly recommend him. Cheers Mark! !